Here’s an extraordinarily spicy twist to the classic Mac n’ Cheese! 1. 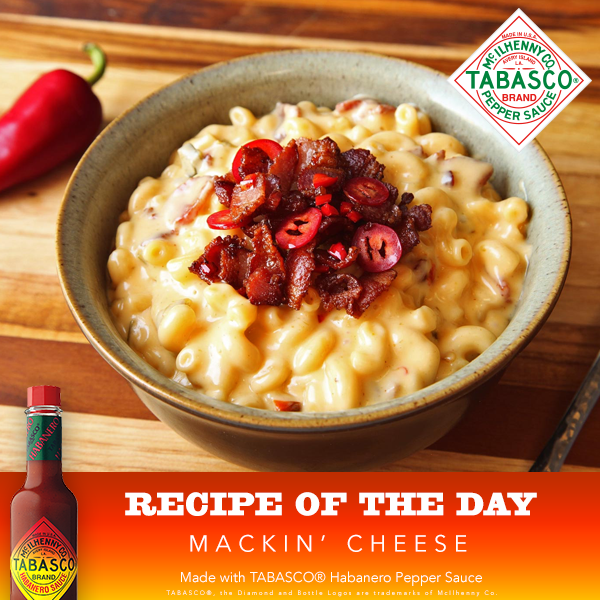 Prepare macaroni and cheese as indicated on package; stir in TABASCO® Habanero Sauce.